Perhaps one of the most recognizable firearms available today, the Magnum Research Desert Eagle Mark XIX is an outstanding reputation of excellence and accuracy. The Magnum Research Desert Eagle Mark XIX in .44 Magnum is powerful, accurate, and feature rich for the discerning shooter wanting something different from the crowd. 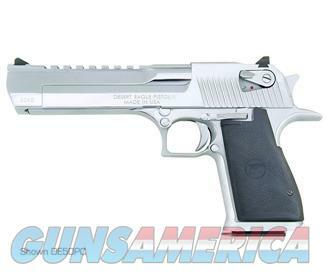 Additionally, the Magnum Research Desert Eagle Mark XIX has an integrated Picatinny rail and ambidextrous safeties giving the shooter a versatile platform for defense, hunting, and recreation.